I've seen a couple of these realistic paintings done for DC comics and I'd really like to know who did them, I'm a big fan of them. 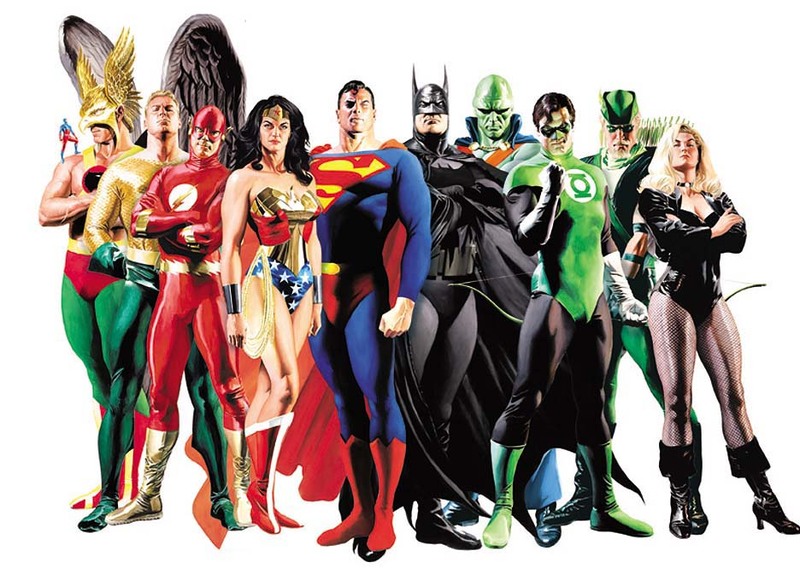 I've seen Green Arrow, Green Lantern, and Aquaman and I want to know if there are more. Anyone have any idea who the artist might be? There's a bajillion hits on tineye.com so I'd try searching through there and trying to find the original artist's site or something. Why is his leg broken? 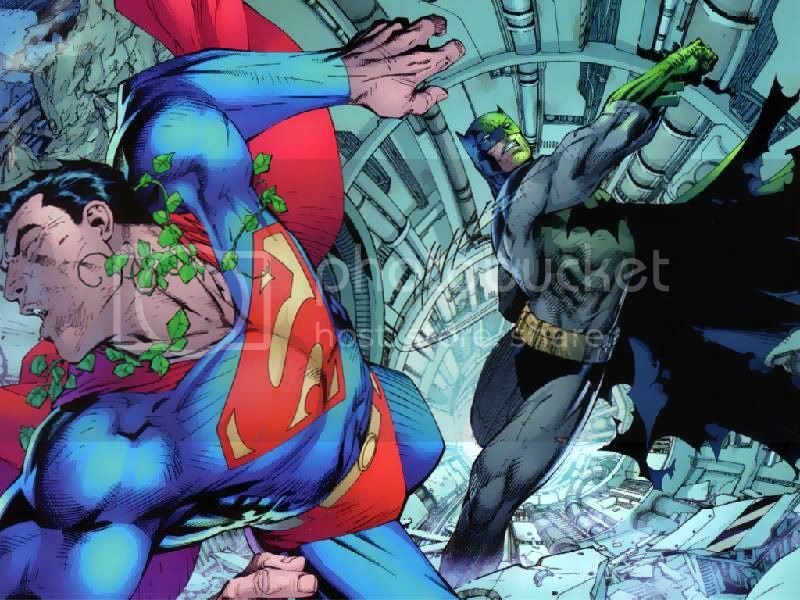 So you're gonna crit Alex Ross for a little anatomical license? Last edited by Velocity Kendall; April 10th, 2012 at 08:42 PM. 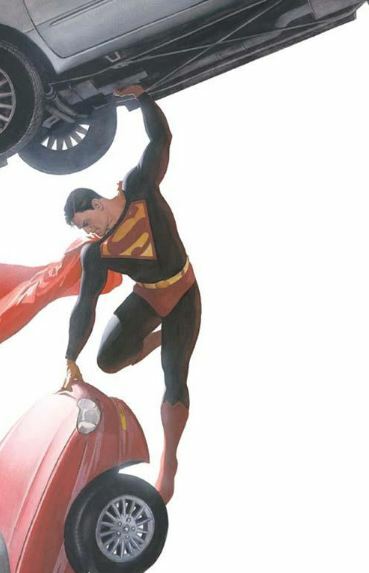 Nah, .. although why is Superman standing on Batmans feet? Seriously, I understand doing it sometimes for effect, and that they are usually working under very tight timelines. Still looks funny in isolation though. because batman is his doormat? Because some intern plus Photoshop. This is one of those quirky things about CA, the knee jerk reaction to critique. I was even in a thread where a young 'un criticized Ingres for incorrect anatomy. Well I had assumed it was NOT the artist, hence the emoticon. I guess I wasn't too clear but trying to joke around here lately is like J walking in a busy city. So, are you reproaching him for pointing out a flaw? Was he wrong? Is Alex Ross beyond a critique? I was not, but there is a funny thing that goes on here sometimes with people giving crits when none are asked for or needed. Are you saying, what, that he was critiquing as a learning or teaching experience? Does Alex Ross need it? Did Ingres need it in the other thread I was referring to? What is your point for jumping in here? If people want to respectfully discuss another person's work and ask questions like, why did he make the leg look like that? Or why did Ingres make that woman's back so long? Then I'm all for that. But what I'm not for is someone with little or no experience criticizing (which is different than critiquing) an artist with decades of experience and walls full of awards. Now were you criticizing or critiquing me? But what I'm not for is someone with little or no experience criticizing (which is different than critiquing) an artist with decades of experience and walls full of awards. So the person with the longer experience and more awards is a better artist than one with little and none? When does a lesser artist gain your premission to point out precieved flaws in a greater artist work? Aren't we all equally subject to citicisim, or can we reach a point where we are immune? I mean people spout annoying drivel everyday, but most people think that everyone has a right to their own opinion. Do unexperienced non-award winning artists? Did you read the part about criticizing and critiquing? Throwing out something like "is that a broken leg" is not a critique. Let me just say that I was not going after Craig D, I know he was kind of kidding, I was responding to someone coming after me for pointing out the funny thing that we do here of throwing out crits of everything we see. So the person with the longer experience and more awards is a better artist than one with little and none? When does a lesser artist gain your premission to point out precieved flaws in a greater artist work? This is not about my permission. Aren't we all equally subject to citicisim, or can we reach a point where we are immune? Do you really believe this? Immune is not the point. Respect is. Just because we can spout opinions doesn't mean we should. This is one of the biggest flaws of the internet. Opinions with or without knowledge. My questions were designed to guage just what you were trying to say (not draw you out into a protracted debate). I agree with some of your points here, but I don't believe that awards really add anything to this argument. Also, while respect is the issue here I don't see why an established artist has a greater right to respect than one that is less so. I had a physics professor tell me once that "You have to earn your opinion." I've always kinda agreed with this. I like the physics professor's statement too. How would one earn one's opinion? That is my point. My questions are also sincere. How does one earn respect in this business? If you don't believe awards add anything then what measuring tools would you use? I believe if you won a prestigious award then you might change your mind about his. Some of them are really genuine and difficult to achieve. His way to earn your opinion was to learn everything you can on a subject and understand the opposing views. I know that this isn't the way the world works, but respect should be freely given to everyone and only lost if it is not merited. Not the starting at zero and going up, as it is commonly practiced... this leads to rudeness. I'm not saying that I don't admire award winners. I admire them for the reason they won, not for the award itself. I don't have anything against awards, they serve a purpose, but they don't mean 'more worthy of respect'. This is exactly my point. The longer you do this or anything the more you know. I'm not saying that I don't admire award winners. I admire them for the reason they won, not for the award itself. Of course this is true. The award is given for the achievement, they cannot be separated. but they don't mean 'more worthy of respect'. But they can be an ingredient in earning it. On the internet we don't have the luxury of knowing with whom we are communicating. In order to build any kind of respect (when I speak of respect here I mean for knowledge and experience because we can't really get to know someone by typing stuff on the computer) we have to gather information. For a site like this we gather professional information for the most part rather than personal. Achievements, portfolio, experience, and awards can all go into this information folder we are building to build professional respect for someone. What I'm hearing from you is that you put equal weight on everyone's opinion when it comes to critiquing art and to me that is just doing our business a disservice. In every other profession whether medical, automotive, construction, etc. we go to experts for opinions on what the best course of action is or the best way to make something. Here we say that everyone has an opinion so they can say whatever they want and it should hold the same weight no matter the achievement or experience? You seem to be agreeing with what I'm saying particularly when you quote your professor. The award thing is another measuring tool in measuring professionalism. Actually some of them a pretty cool looking too. I agree with a lot of what you're saying. Maybe I took too many philosophy electives and I have issue more with the semantics here. I differentiate between measuring professionalism and respect. I give everyone respect equally until they show me that they don't deserve it based on my personal value system. Here is where we fall in the danger of resuming our past debate about the subjectiveness of art. I value everyones opinion until it breaks a rule of logic. This does't mean I like everyone's opinions. Some awards do indeed look pretty cool... they would look much cooler on my shelf! It's inevitable you place different weight on someones opinion based on their experience. If someone who's just starting to draw critiqued my sketchbook compared to someone with a 5 star amazing sketchbook. The 5 star, no offense to the person starting out holds more weight. They've been there, done that, know what they're talking about most likely. The beginner can still point something out wrong though of course. Then the 5 star could point out something I don't really find useful at the same time. Though it's just not as likely in something technical that a beginner would hold more weight. Truth=Truth it doesn't matter the source. This is just not true, pardon the play on words. Truth is one of the trickiest words in our language. There always comes a point where simple 2+2 doesn't equal four in our business. If equations were always the same then everyone with skill would be great. It's the reason I value experience when it comes to opinions. Who would you rather have diagnose a serious illness? An award winning diagnostic physician who has been doing it for decades or a resident. There is no question that the resident could come up with a diagnosis that is correct but who would you be more inclined to trust? This is what I mean when I say we devalue our profession when we say that everyone has an opinion. We all do but some are more informed than others. Giving respect as a person is very difficult for me online. This is the reason that I equate online respect with professional respect. It is really the only thing I can measure other than a superficial politeness or rudeness. Last edited by bcarman; April 11th, 2012 at 09:45 PM. This is just not true, pardon the play on words. Truth is one of the trickiest words in our language. There always comes a point where simple 2+2 doesn't equal four in our business. If equations were always the same then everyone with skill would be great. It's the reason I value experience and when it comes to opinions. You are right about experience and your analogy is quite acurate. Someone with experience is much more likely to know what passes for truth on any given subject. However, even though it is not as likely, an inexperienced person can and often does point out certain truths. I don't believe they are any less valid in spite of the unlikely source. A mathamaticion is likely to answer very hard problems more frequently than his students. Sometimes the students get the problem right. I think even though we are disagreeing about some of these ideas, in all practicality we agree. We just arrive via different routes. I never imagined I'd see a person who DIDN'T know Alex Ross by name. By Lone Wolf in forum Artists Available for Work!